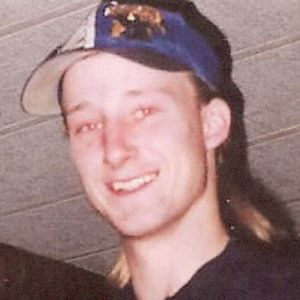 BEECHMONT – Russell Patrick Jernigan, 34, of Beechmont, died Wednesday, May 23, 2012 at the Muhlenberg Community Hospital in Greenville. He was born April 25, 1978 and was disabled. He is preceded in death by his parents, Russell and Pat Carver Jernigan and a brother, Marty "Levi" Garrett. Survivors include a sister, Wendy Jernigan McElvain of Beechmont, brothers, Sandy Garrett of Greenville and Curt Garrett of Belton. Sandy and Curt Just learned of Rusty's death. Sorry to hear of it and am shocked. Your family has been special to me for many years. Take care and know both of you are in my thoughts. I am so to hear of Rusty's Passing ! Wendy i am really sorry to hear about your brother. my prayers are you. you were a good friend. love you.